Can you summarise your business? Morspan Construction is the leading designer, supplier and erector of all types of poultry housing. We are based in Monmouthshire in South Wales but have built in all areas of the UK. From single 12,000 organic egg units to multiple house broiler sites, large free-range egg projects as well as breeding and rearing units. We are also in the early stages of building our first hatchery for Aviagen. How long since the business started? And how has your product design changed during that period? Our business is owned by cousins who both came from farming families. 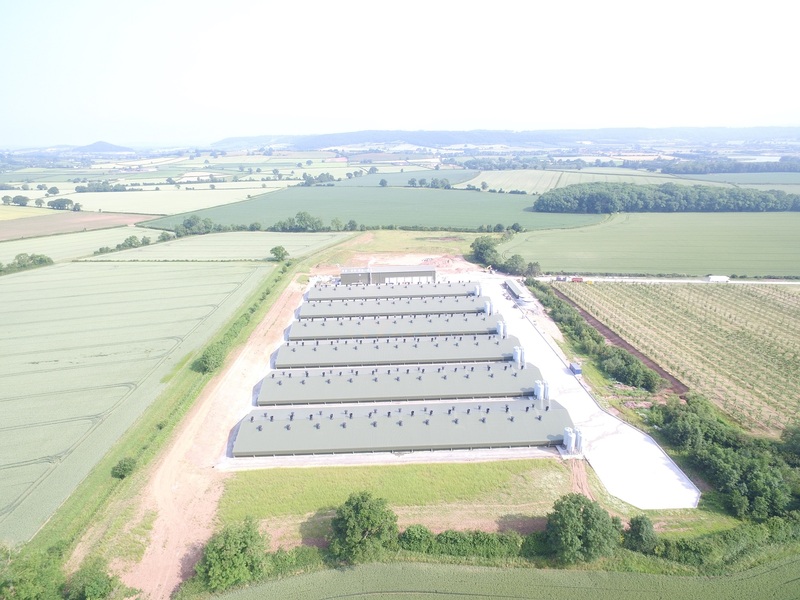 They have both worked for the business since its inception 25 years ago when the requirement for steel framed clearspan poultry houses became apparent and went on to purchase the company from its previous owner in 2006. Their farming background is invaluable in meeting farmers’ needs as well as keeping ahead of the continuous changes required from processors and ultimately consumers. Although we are the largest poultry house builder in GB, we are constantly looking at design, materials and service to maintain that position as we are very proud to attach a Morspan sign to all of our houses. We have been pro-active in the inclusion of windows in our broiler houses, increased biosecurity design within all sectors whilst offering great value and service. What have you learnt as a business during that period that’s enabled you to change and evolve? The key to our business is people. That is looking after our customers, as well as other contractors, with an exemplary service and ensuring that we don’t make promises we cannot keep. We also like to look after our own employees as they are key to our business staying ahead of our competitors. What frustrations do you have with the planning system? The planning situation within Great Britain is frustrating to say the least. Mainly because it is a partial post-code lottery, in simple terms, the further north you go, the easier planning seems to be to obtain. It is also frustrating because we are the world leaders in animal welfare and these new sites would reduce the requirement for imported eggs and meat from lower welfare systems. Any other businesses or leaders are you inspired by? As a company we have very some very simple rules and beliefs. We keep it simple, with great employees, many of whom have worked for many years with us. We would never over-promise and under-deliver as deadlines within this industry are key to our reputation. What are the biggest opportunities and threats to your business? Often in business, threats become opportunities. We are always looking at other opportunities, such as the recent hatchery project, however we are primarily poultry house builders and that is where we retain our focus. What do you think the industry might look like in another 20 years in terms of building design and the structure of the poultry industry? I wish I had a crystal ball to answer this question. We have Brexit looming and I don’t think anyone knows how that will effect our industry. There’s the obvious huge increase in the free-range egg market at the expense of the colony layers, but will barn production increase? Planning – as stated above – remains an obstacle. I think, as we have seen recently, we may see packers and processors merge and this will bring both benefits and challenges. What’s the one project you’re most proud of and why? Any disastrous projects that managed to be saved? Or not? And what you learnt from it. In any business there are problems, from design all the way through to construction and commissioning. The key with issues or mistakes is twofold, firstly don’t try to cover them up as dealing with them quickly and effectively is key. Secondly, learn from them, and hopefully never repeat them.